Valentine’s Day is the perfect time to show your favorite little dog that you love them. 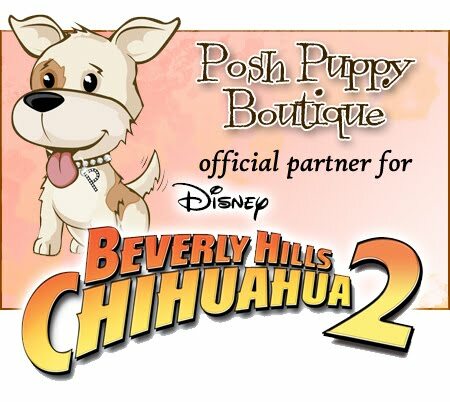 One of the best ways is with a new outfit from the Posh Puppy Boutique. This Pink Tigress Tank ($30) from Hip Doggie has a zebra print with a black fringe and black heart plus a keyhole neck. Made in the USA, sizes range from double extra small to extra large. Our Couture Valentine Dress ($230) is a chic, casual, corduroy cotton creation with numerous embellishments. It has waistband details, bodice and collar embellishments, an applique skirt with trim and many out special touches. Getting it on and off is a snap with Velcro ® attachments at the waist and neck. Sizes range from double extra small to medium. A single color can be plain, simple and yet elegant at the same time. That is the case with our Miss Red Dress ($50) from Ruff Ruff Couture. Made with double-sided red velvet, it has a diamond sparkle tulle skirt topped with a chiffon rose bud. It is also Made in the USA. This Pink Blossom Soft Sweater Dress ($40) is both stylish and warm. Made by Hip Doggie, it is off-white with pink accents and the collar and hem and topped with a wide pink ribbon and bow at the waist. Sizes range from double extra small to extra large. The Sprinkle Hearts Rain Vest keeps your little ones dry. Keep you tiny bundle of joy warm and dry this winter and spring with our Sprinkle Hearts Rain Vest ($58) from Puppy Angel. It features a pink background with white hearts on a waterproof fabric outer layer. A mesh inner layer keeps your little angel warm. A zipper keeps it snug. Sizes range from extra small to triple extra large. If your pup likes to wiggle to the tunes, dancing and playing to music, consider our Love & Rock Thermal Tee ($45). This Ruff Ruff Couture design features a pink tattoo pattern. It has a felt heart accented with studs plus black sleeves. Sizes range from double extra small to extra large. It also comes in red. Add a little “shades of the 60s” psychedilia with our Be Mine Blue Thermal Tee ($40). Made with ultra-soft thermal cotton spandex, it has a funky heart print. It also works perfectly under a jacket for extra warmth. Size range from double extra small to extra large. 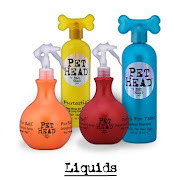 These are just the smallest fraction of the many Valentine’s-themed pet products available at the Posh Puppy Boutique. Call us at 888-837-5230 with any questions. Be sure to follow us on Facebook. Hey Posh Puppy Pals: Are you thinking about adding a new four-legged family member? Don’t buy a dog, adopt one. There are literally millions of dogs and cats in desperate need of a new home. Consider rescuing a Chihuahua or any other breed. Click here for a link listing 10 Chihuahua-oriented rescue sites, many with numerous links of their own.